!!!! We advise to read the tutorial and OpenCockpits USBservo manual before purchasing item’s !!!! This tutorial is a guide of how to interface a VSIgauge. But can also be used as an example for other real world gauges. 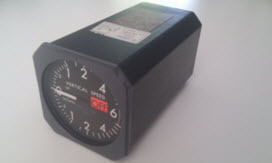 Onething to keep in mind, is that the gauge has to be ‘’servo’d’’ . Interface a servo to the OC usbservo card and the servo will function as a needle. But we are limited to 180 degree movement. 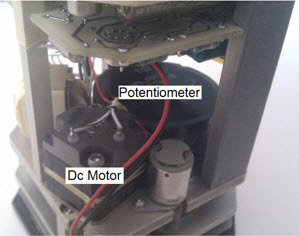 An other alternative is the Dc motors card combined with a potentiometer. 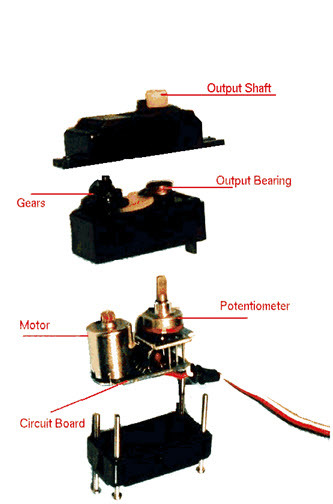 We could use a Dc motor for movement and the potentiometer to register the movement, with the help of some SIOC coding we could make it work like a gauge. Same concept as a servo but with more possibilities It increases the range of the needle but it requires some coding skill. 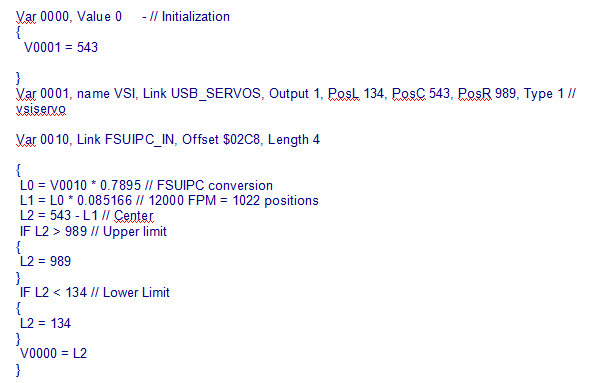 For interfacing this VSI weare using both methods combined. 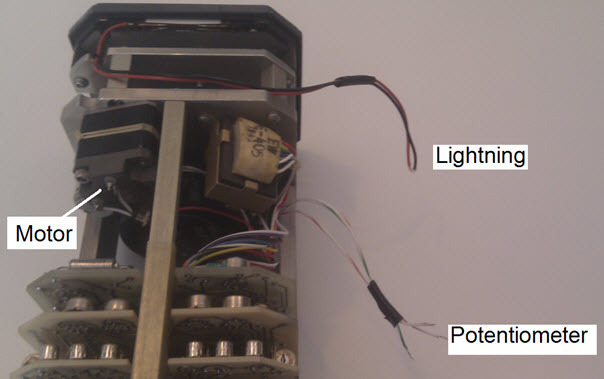 The idea is to ‘’gut’’ theservo and replace the potentiometer and the Dc motor for the ones in the instrument. Next we will ‘’gut’’ the servo. 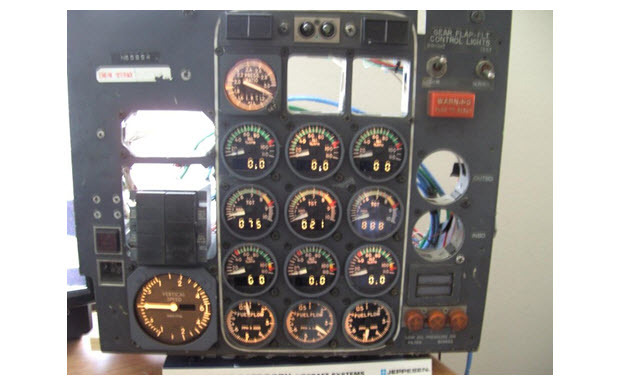 Just like flightinstruments are servos slightly different but have a basic lay-out. First wedisassemble the servo. When thecasing is removed we de-solder the Motor en potentiometer and replace 2 wiresfor the motor and 3 for the potentiometer. Write down or memorise which wire isconnected where. Modify if necessary the case so the wires fit throughthe holes, from the motor and potentiometer. When the case is back togetherconnect the wires to the potentiometer and motor inside the VSI. Again ad someelectrical tape between the joints. The next step is a rather important one. 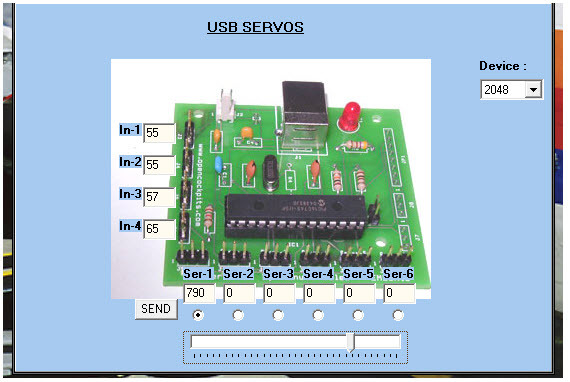 In most casesthe servo wires , the ones we connect the to the USBservo card, are notcorrectly arranged. So we have to rearrange them. Which in most cases is doneby lifting a safety pin on the connector and pulling the wire out. Or you can solder them directly to the card. Information on how to arrange the wires can be foundin the Opencockpits USBservo card manual. 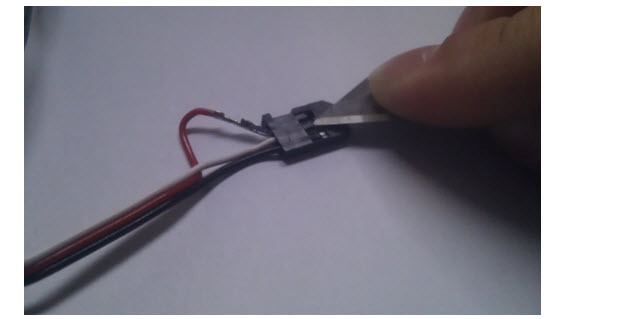 Now we connect a 5V power supply to the card (Note:it’s important that the wires are connected correctly + to + and – to – !!! )The servo can be connected too. Also these need to be connected as described inthe Opencockpits USBservo card manual. The next step is to test the Gauge. Go ahead andconnect the usb cable and the 5V power supply. Then open the test software. By filling in a numberbetween 1 and 1023 or moving the slide bar the needle should be moving. Thiscan be used to get the value’s to use in your script. 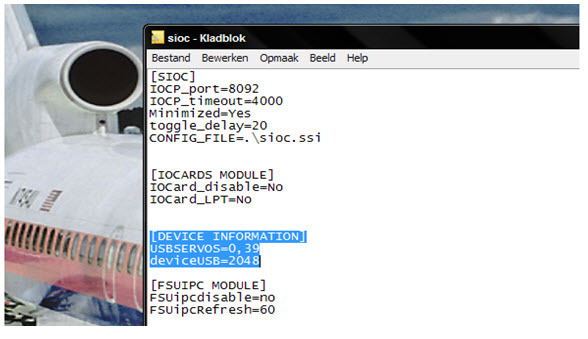 Then make sure to modify SIOC.INI So it recognises theUSBservo card. The index and device number can be different dependingon how what and how many cards you have.